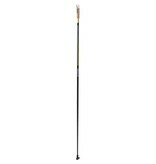 The Quantum Two is a complete new racing pole with excellent stiffness, pendulum, and weight properties. The pole is 100% compatible with all Triac components in the Swix collection such as the Swix TBS and TCS. The Quantum Two comes without straps so the entire TCS strap program is available for maximum custom fitting. 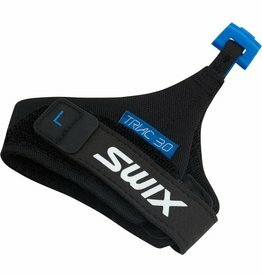 Note that the Swix Triac 3.0 and Quantum 1, 2 and 3 poles have a new handle design that measures shorter than the old Swix handles (see picture to left). 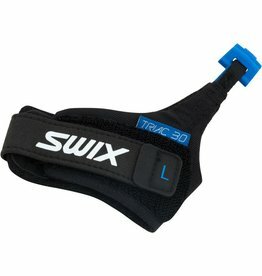 The point at which the strap comes out of the handle is the same for any given pole length, whether it has the TCS handle or the old Swix handles. Even though the tops of the handles measure differently, the marked lengths will be the same as before. For example, if you used a 160cm pole before, you will still use a 160cm pole with the new system, but the handle of the new pole will be shorter.